Jobs Description: Pakistan Armed Forces Jobs 2019 can be viewed in our site. Pakistan Amy recently announced an advertisement for Jobs of Research Assistant and Laboratory Assistant in the Armed Force Medical Laboratory, Lahore Cantt. Pakistan Armed Force is one of the Powerful Armed Forces in the World. 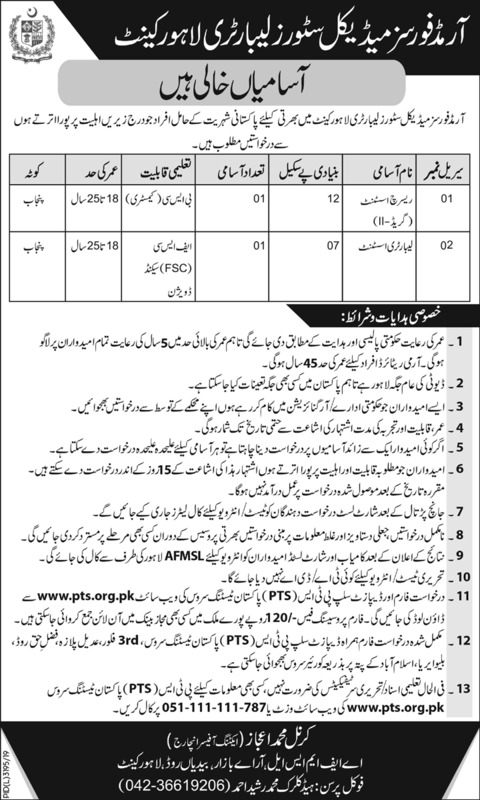 Pakistan Armed Forces has required the applications for the following jobs. How To Apply: Application form and other details are available on the PTS (Pakistan Testing Services) website.